Summer camp: It's a rite of passage for children to spend time away from home, make new friends, explore the great outdoors, and while away the nights singing songs by the campfire. But why should kids have all the fun? Plenty of summer camps open up for special family sessions throughout the season, offering the classic camp experience for the whole clan. Here are 10 camps in the region to consider if you're looking to join your sons and daughters for some time reconnecting with nature – and each other. Call or check camp websites for rates and availability. Camp Cedarbrook is a Christian summer camp for girls that offers special weekends for parent and grandparents to visit and take part in classic camp activities. Enjoy a fun-filled weekend of cookouts, songfests, fishing, swimming, hiking, and more. Camp Hazen is the perfect choice for a family camping getaway close to home. Families can escape to Cedar Lake in Chester to enjoy kayaking, hiking, climbing, a ropes course, and quiet time by the lake. Camp Hazen offers family camp weekends, mother/daughter weekends and father/son weekends. Families that seek out adventure will fit right in at College of the Atlantic's Family Nature Camp. Visitors may join professional naturalists on guided ecology hikes in Acadia National Park, explore the cobblestone beaches of Mount Desert Island, take bird-watching field trips, and much more. Plus, campers are treated to meals at the college's award-winning campus dining hall! Spend time with the family on Vermont's Lake Morey at Hulbert Outdoor Center's August family camp week. Large platform tents and rustic cabins serve as accommodations. While away the afternoons in a hammock with a good book, or join in on activities include crafting, canoeing, hiking, swimming, sailing, and singing songs around the campfire. Take a girls' trip to the International Riding Camp north of Albany, NY. The camp offers mother/daughter weeklong and weekend retreats. Enjoy breakfast, riding lessons, water skiing, swimming, arts and crafts and more. End the day with dinner, followed by a group activity, like bowling, the movies, or roller blading. Medomak offers the classic New England camp environment for the whole family. Kids and parents can take part in an array of activities including the usual camp stuff (hiking, canoeing, etc.) plus theater, gymnastics, and milking the resident cow. Special just-for-adults fun includes yoga, beer and cheese tasting, and massages. You won't exactly be roughing it with lobster dinners and cabins equipped with hot showers. 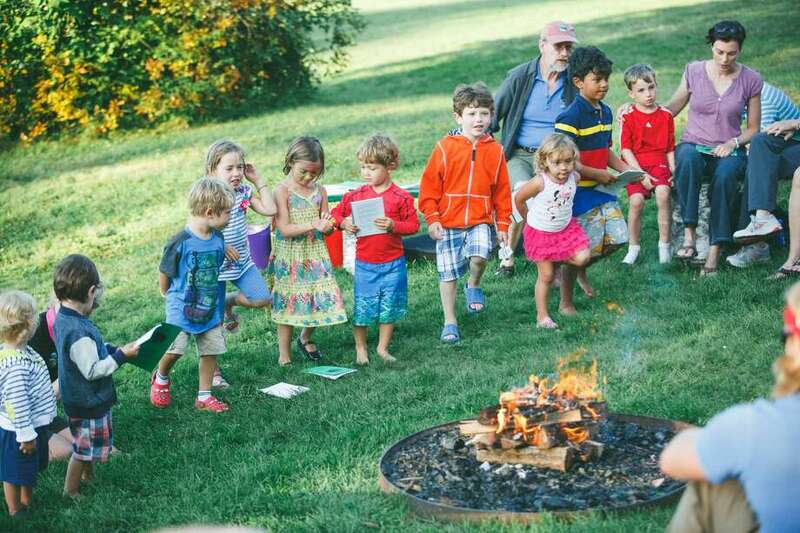 "Ohana" is the Hawaiian term for family, and Vermont's Ohana Family Camp encompasses all the family means. Ohana Family Camp and the Hulbert Outdoor Center are operated by the non-profit Aloha Foundation, which is committed to building a sense of community among campers. Families can make memories as they explore Lake Fairlee and its surrounding area, like the nearby Green and White Mountain National Forests. Wildwood's Family Camp program is open to family members of all ages – from toddlers to grandparents. Families of up to eight people can choose to sleep in a platform tent, cabin, or yurt. Explore nature, take part in water activities, and spend time by the campfire with your loved ones and get to know other families who love the great outdoors! At Wyonegonic Camps in Denmark, Maine, the family camp program is all about enjoying each other's company at your family's pace. Activities are meant to foster a renewed sense of family spirit. Typical camp activities like hiking, swimming, and sailing are complemented by ropes courses, paddle boarding, and day trips to nearby destinations. Camp Abnaki, a boys' camp in Vermont, opens up to families and parents at various times throughout the summer. Families can visit Memorial Day weekend for three nights of campfires and waterfront activities. Come September, the camp opens up for designated mother/child and father/child weekends, during which moms and dads can bond with daughters and sons over archery, boating, arts and crafts, and more.